When I make chicken, I typically like to make it really thin. If the chicken breast is thick I thin it out by cutting it in half length-wise. 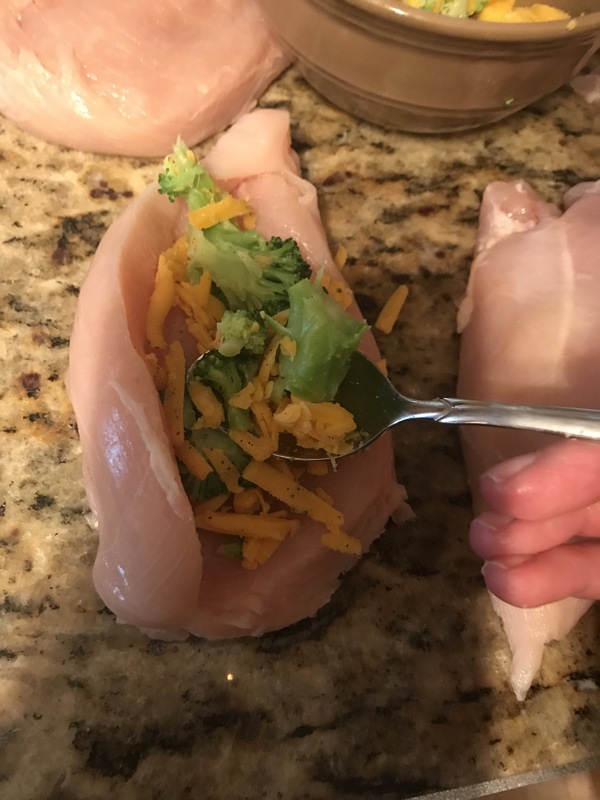 For this particular recipe however, I turned the chicken into a chicken “pocket.” To do this, take your chicken and place your hand on top to keep it in place. 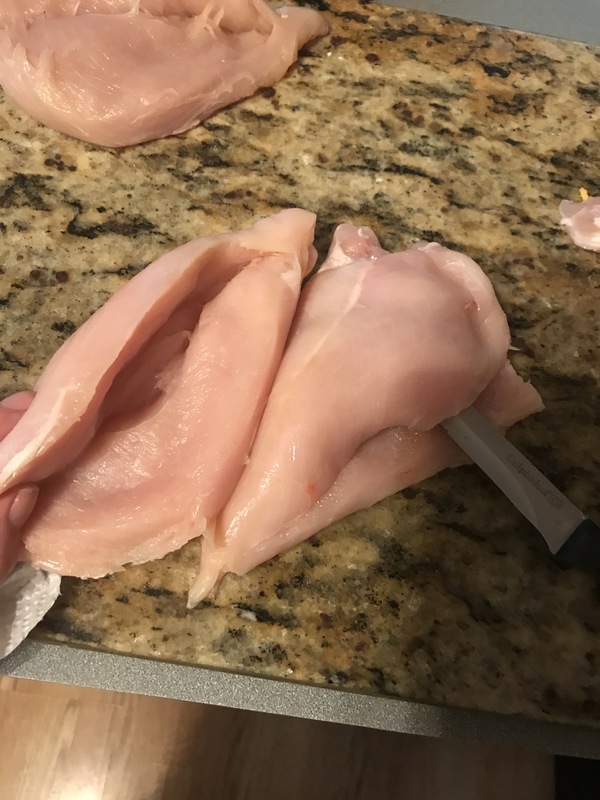 Slice the chicken sideways with your knife and stop just short of cutting through the chicken and tah dah!! 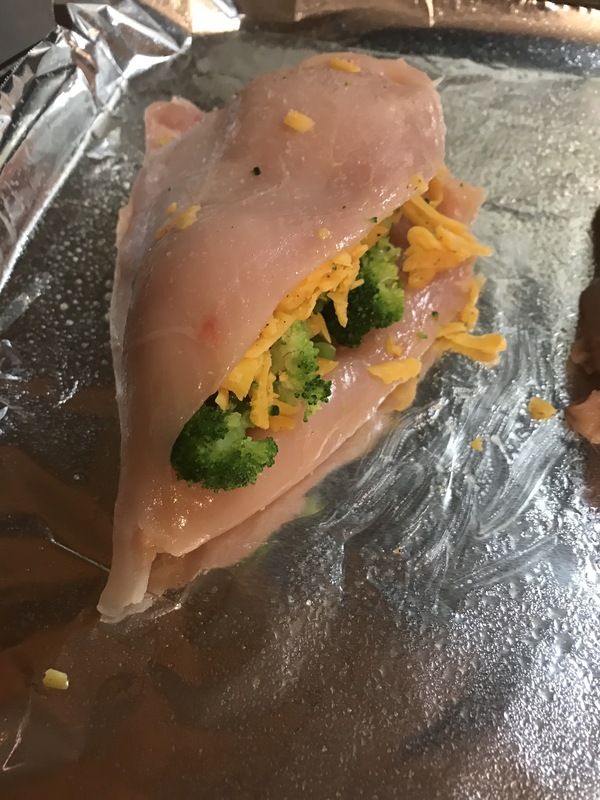 A chicken pocket!! Next, wash your hands!! 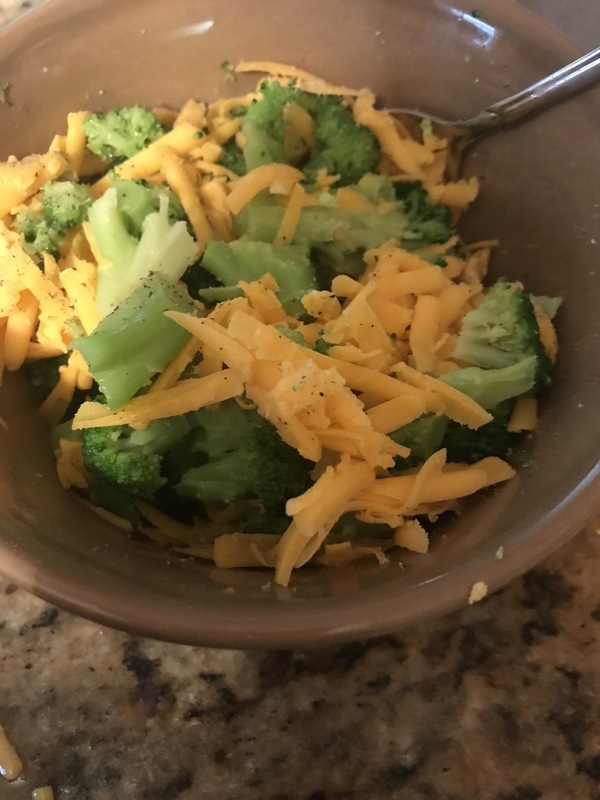 Take your cooked and chopped broccoli and cheddar cheese and add it to a bowl topped with salt and pepper and mix it around. Now, when I used shredded cheese, I prefer to grate it myself. B. I feel it’s got a better taste and definitely melts nicer! 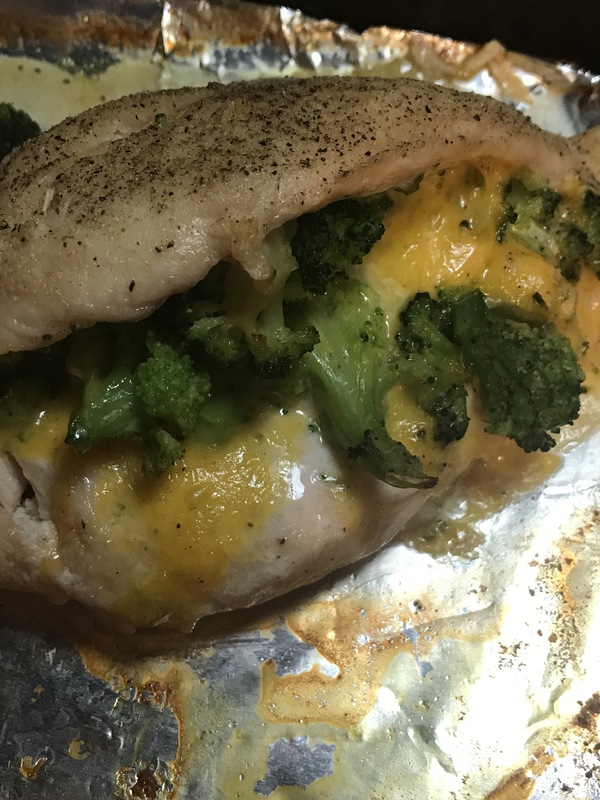 After your chicken is stuffed, place them on your greased sheet pan. Wash your hands (again! 🙂 ) and top each piece with some salt, pepper and garlic powder and one quick squirt of olive oil spray. Finally, Put them in the oven for 60-75 minutes at 375 degrees. Since every oven is different, periodically check to see what the chicken looks like. If it is getting too dark and not completely cooked through yet, tent a piece of foil over the chicken so that it doesn’t burn.